Doric or ionic? Neither. 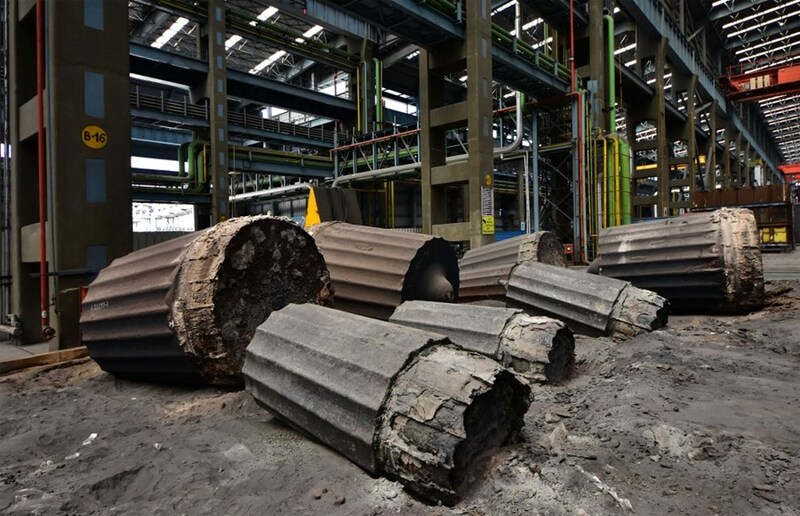 What looks like broken columns from a Greek temple are in fact steel ingots, cooling on a bed of black sand inside the Larsen & Toubro foundry in Hazira, India. Steel ingots for the ITER cryostat, cooling on a bed of black sand at Larsen & Toubro's foundry in Hazira, India. These ingots, who weigh from 6 to 200 metric tonnes, are the raw material for the cryostat segments that the company manufactures for ITER. Once cooled, the ingots are re-heated and forged by a massive, open-die hydraulic press, the largest in the sub-continent, capable of exerting a force of 9,000 metric tonnes. It is only after being machined that the steel will acquire its familiar, mirror-like aspect.